There’s nothing quite like summer in Alberta — those 30 degree days seem even hotter after slogging through 9 months of winter. Ice cream tastes colder, steaks taste better, and road trips seem less -how do I put this- likely to end with your vehicle in a ditch. That’s why it’s important; no, imperative; nay, paramount, that you grab a few friends, gas up and snack up, and hit the road for a few Alberta road trips. So read on, intrepid local traveller, and let us educate you on some of the finer road trips you can take in the Wild Rose Country. Being an Edmonton-based dealership, we are most familiar with the province’s capital city (Go Oilers! ), and there is no shortage of events in Edmonton during the warmer months. If you are planning an Alberta road trip and aren’t an Edmonton resident, then make sure you swing through and enjoy the City of Champions. We have a ton of great summer festivals that appeal to everyone; for the sophisticated lover of arts we have the International Street Performers Festival, Folk Fest, the Freewill Shakespeare Festival, as well as North America’s largest and longest-running Fringe Festival. If your idea of a good time involves gorging yourself on delicious food instead of watching someone ham it up, then you’ll definitely want to visit Servus’ Heritage Festival, A Taste of Edmonton, or one of our What the Truck?! food truck festivals. Pro-tip: If you find the heat to be too oppressive, go to West Edmonton Mall and steal some of the free air conditioning! Of course, there’s more to our fair province than Edmonton (even though we have the best sports teams). The Rocky Mountains, for example, cut an imposing figure through Alberta. If you’re taking an Alberta road trip, you’ll need to swing through one of our beautiful national parks to see these stoney giants. Jasper has an excellent food scene, brewery, and a ton of amazing hikes ranging from beginner to expert, rafting, mountain biking, and more. After a day of intense physical activity, we suggest trying out the Saganakis (cast iron fried cheese) at Olive, and then heading down the street to Downstream to enjoy a game of pool and wash down dinner with something from their extensive back bar. Pro-tip: Don’t feed the bears. Once you’re done in Jasper, head south and make a stop at the largest icefield in the Rocky Mountains, the Columbia Icefield. If you aren’t afraid of heights, or you’re just a masochist, then take in the 1km Glacier Skywalk -a glass-floor observation platform 280 metres above the Sunwapta Valley- and enjoy the beautiful Icefields from a terrifying perspective. There are currently no plans to create a bungee-jumping attraction at the Skywalk, but I’m still working on a petition to make it happen. Pro-tip: If you go down to the glacier, do not play around the glacier crevasses. After staring into the abyss for a few hours, head down to Banff and enjoy more hiking and outdoor activities, like an incredible Gondola ride that’ll give you a bird’s eye view of Banff. Once you’re done, head to Park Distillery for a tour of their distillery, followed by a cocktail (or six). Stumble back through the town and do a bit of shopping, then grab a bite to eat at one of Banff’s excellent restaurants (I’d suggest the Bison Short Rib followed by the Creme Brulee trio at The Maple Leaf Grill and Lounge). In the morning, wake up, grab yourself a Beaver Tail and a coffee, then head to Calgary! Pro-tip: Seriously, don’t feed the bears. Just because Calgary doesn’t have a very good hockey team, doesn’t mean there isn’t fun to be had in their city on your Alberta road trip. Experience great shopping and food on 17th Ave, and then get some rest, because you are going to need it to survive the Calgary Stampede — one of the wildest parties Alberta has to offer. If you wear more snapbacks than cowboy hats, Calgary also hosts the One Love Music Festival, and Chasing Summer, western Canada’s largest hip hop and electronic music festivals. If you want even more stimulation than an incessant drum beat can provide, try Global Fest, a week-long international fireworks festival; if that sounds too loud, then maybe western Canada’s largest outdoor pet festival, Pet-A-Palooza is more your speed. A free, outdoor festival featuring dog races, agility demos, photo lounges, and all the furry, four-legged friends you can pet! Pro-tip: You cannot go wrong with the meatball sandwich at Meat & Bread. Please, just don’t feed it to any bears. One last locale we suggest taking in on your Alberta road trip, is the town of Drumheller (a.k.a. Dinosaur Valley). Take a trip through history, whether it be a tour through a 1930s coal mine, a hike through the 75 million year old hoodoos, a visit with the 112 million year old Nodosaur at the Royal Tyrell Museum of Paleontology, or just hanging out inside the mouth of the 25 meter tall, 145,000 lb, 19-year old, World’s Largest Dinosaur. Jurassic Park’s got nothing on the town of Drumheller, and all of its dinosaur related revelry. But seriously, do not miss the Royal Tyrell Museum. If you’re feeling bold, indulge your inner six-year old and let out a mighty T-Rex roar inside the museum! Pro-tip: Do not indulge your inner six-year old and let out a mighty T-Rex roar inside the museum — I’m still banned. These are just a few options for an Alberta road trip, but there are tons of exciting things to do in our beautiful province.  If you’re considering a road trip, swing by Team Ford’s Quick Lane service department to make sure your ride is in top condition to tackle the highway, get some snacks, and then get driving! Pro-tip: Stay tuned to the Team Ford blog for all things auto related in Alberta.